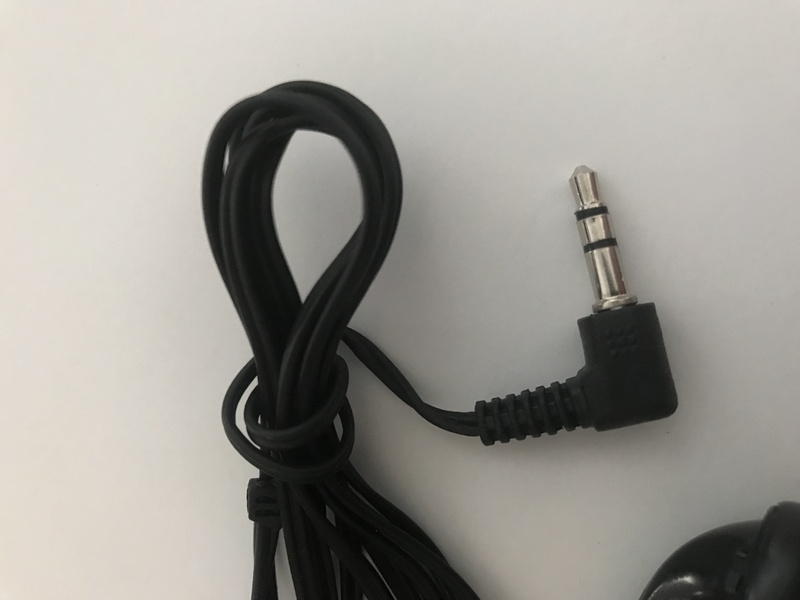 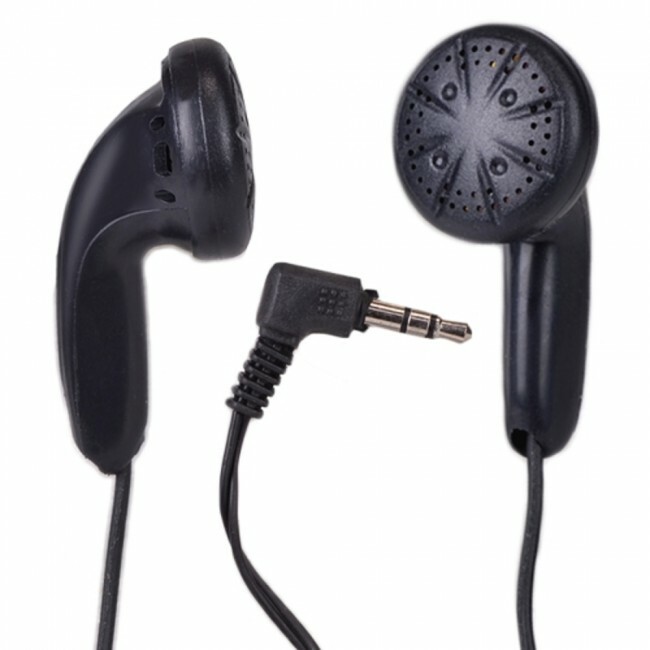 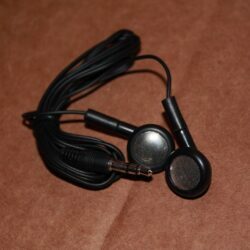 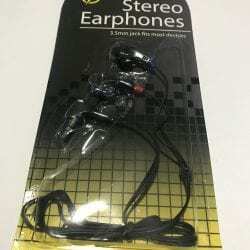 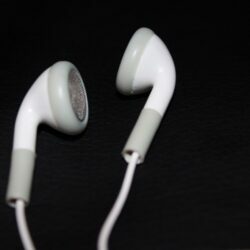 Black Stereo Earbud style headphones with a 46-inch length cable and a 3.5mm audio jack plug. 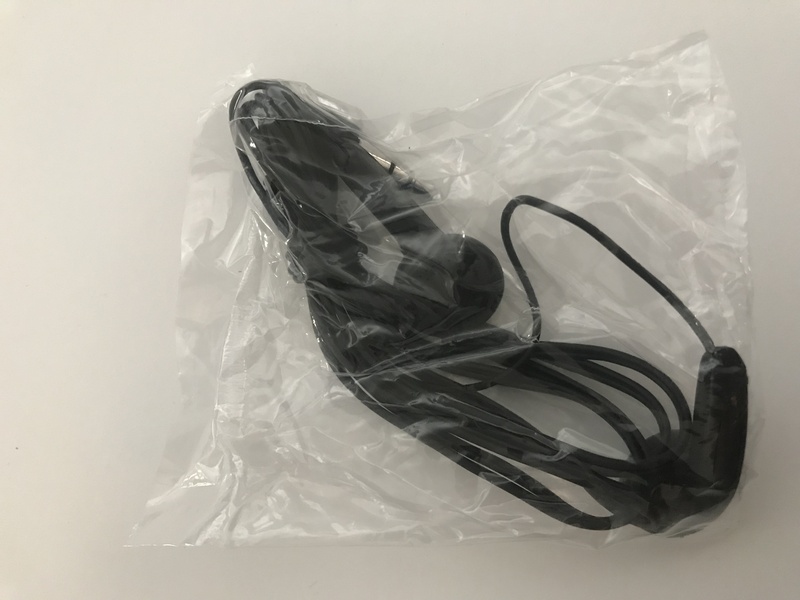 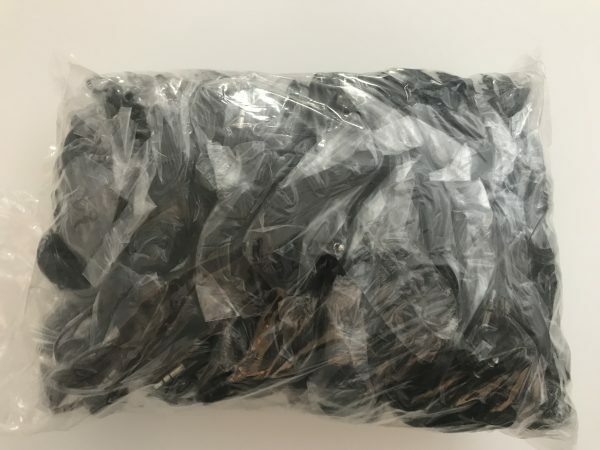 Each earbud is individually wrapped and sealed. 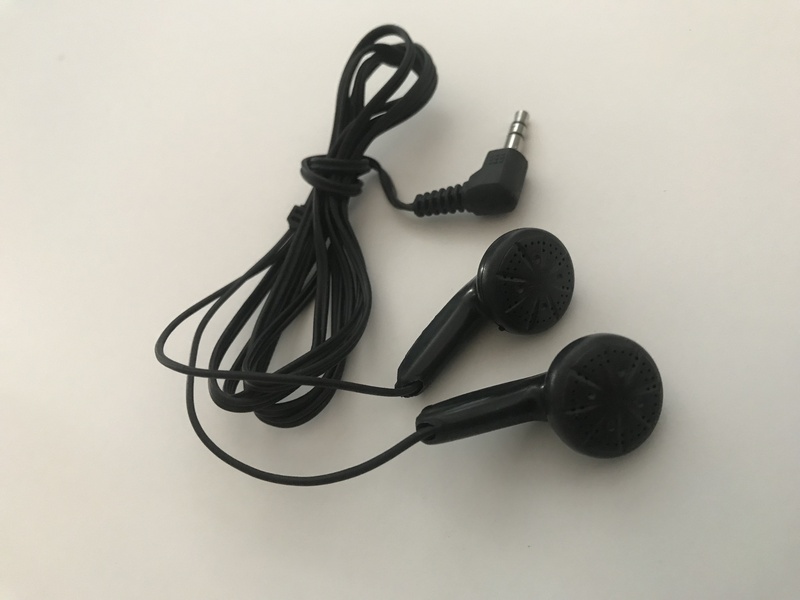 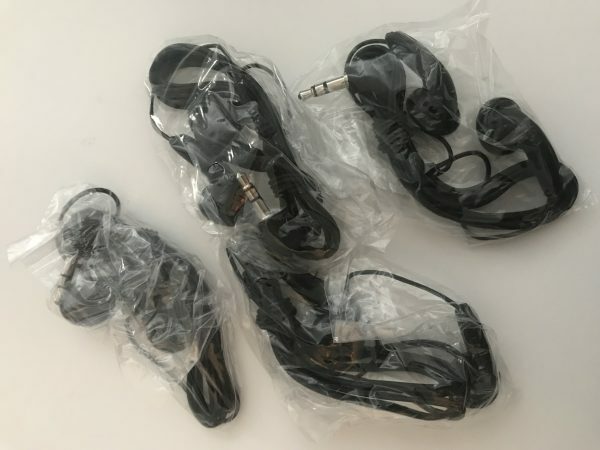 For use with Smartphone, iPhone, iPod, MP3 player, Tablet and other devices with a 3.5mm audio plug (standard).